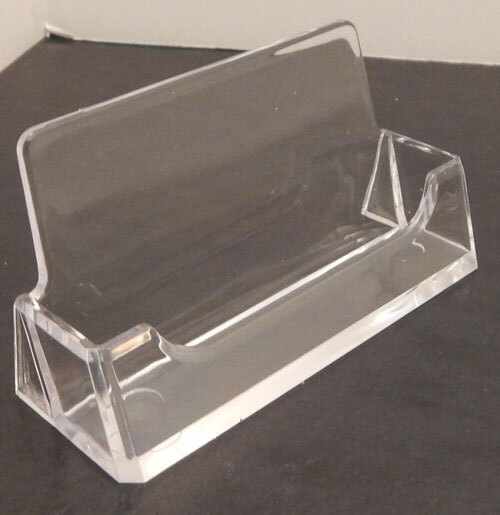 Single slot business card holder for counter top display. 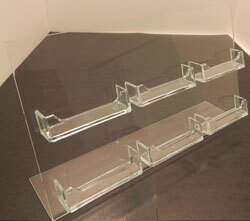 A stylish way to make your business cards available to your patrons. The front lip holds items in place. 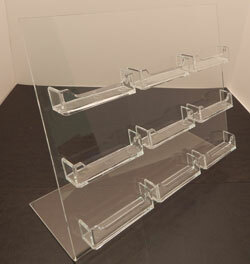 Great for use on counter tops, desks, or anywhere where you need to make business cards available to your customers. 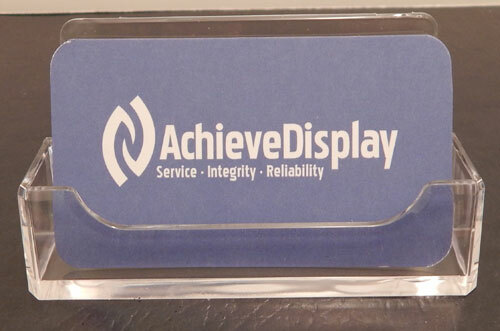 This acrylic business card holder is constructed for counter top display. It is available with 6 or 9 business card pockets. Choose from the options below.